Environmentally sensitive and remote areas pose challenges for pipeline projects. Dan Laux, Mattracks, Inc., USA, explains the advantages of track conversion systems when attempting to operate pipeline equipment in difficult terrain. One of the many challenges faced in pipeline construction projects is the ability to access remote areas. These remote areas pose a multitude of obstacles for accessibility. The areas are remote for a reason. They may be extremely wet or even underwater, they may be in sandy desert areas or in Arctic areas with snow and ice, or they may be in areas that are environmentally protected and require minimal soil disturbance. All of these areas have one thing in common; they require specialized equipment due to the terrain. Environmentally sensitive areas, such as wetlands or other areas with soft terrain, pose challenges with regards to providing access for heavy equipment. It is common to use timber mats to build a structural roadway to access the worksite. A typical project might be when daylighting or potholing of buried pipes is needed for integrity work. The downside is that mat roads are time and labor intensive, both of which add to a project’s overall cost. The use of timber mats, while more practical than building a traditional road, is still a costly enterprise and also adds to restoration costs. The cost to lay down a quarter of a mile of mats could be as much as $10,000 or more, and then there is additional cost of removing the track and restoring the area (Figure 2). Mattracks provide an efficient and cost-effective alternative to mat roads. That alternative is to lower the ground pressure induced by a vehicle through the use of a track conversion system. For those who are not familiar with track conversions, it is the process by which one takes a vehicle originally designed to run on tires and converts said vehicle to a tracked machine. 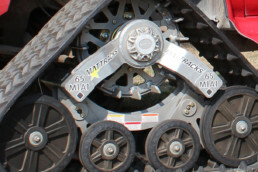 The conversion is done by replacing each wheel with a modular self-contained track system. Each track system consists of a rubber tread, a drive sprocket and a frame that is supported by idler wheels. Installation is about as simple as changing a tire. 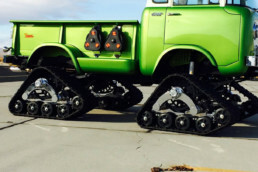 There is little to no modification required to the original vehicle, and the vehicle can be driven in much the same way as it is with the tires. Figure 2. A temporary timber mat road. There are many inherent advantages to a track conversion system. 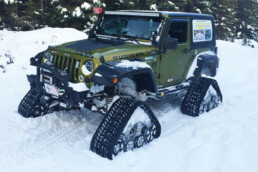 In most cases, the original vehicle is elevated more than with the tires installed, allowing for more ground clearance. The speed is reduced due to the drive sprocket being smaller than the tyre. However, this reduction also provides an increase in pulling force where the rubber meets the road. Because of this, a Mattracks-equipped vehicle can make greater use of the engine torque at low speeds. 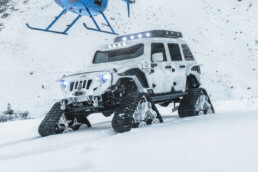 The vehicle also retains lock to lock steering in most cases, which provides the same turning radius as tires and allows one to use full power to move around obstacles. 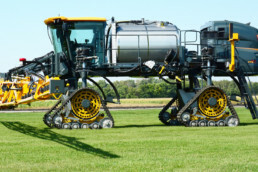 The biggest advantage though is the large track footprint that provides the vehicle with added flotation by spreading out the vehicle’s weight over the surface of the ground. Improved traction is also gained through the amount of surface contact between the tracks and the ground. 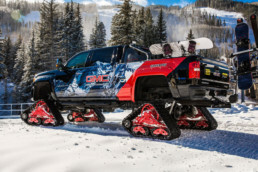 This combination of traction and flotation allows a Mattracks-equipped vehicle to travel over soft terrain while exerting as little as 1.5 psi (10 kPa) of pressure on the ground. A conventional truck with tires exerts as much as 40 psi (275 kPa). The Mattracks vehicles’ low ground pressure also leaves less impact on the land as ones travels through sensitive environments. Troy Peterson, Owner and Operator of Green Way Environmental, provides hydrovac services to the pipeline industry. Peterson saw the additional advantages that Mattracks offered and how it could save both time and money. Green Way Environmental operates a Vactor HXX Paradigm truck – a Class 7 hydrovac truck – which is used for the installation, maintenance and repair of underground utilities. 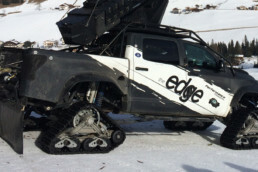 The truck is also compact and offers multiple uses. 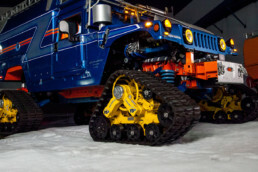 Peterson explains: “It can dig holes with water or air; vacuum, contain and dispose of drill mud; power pneumatic, hydraulic or electrical tools; and provide transport and storage of replacement parts, equipment and tools.” Peterson decided to further expand the vehicle’s versatility by installing the Mattracks 400M1A1-SA system on the truck (Figure 4). Figure 4. A Mattracks 400M1-A1 track conversion system on a Vactor HXX Paradigm Class 7 truck. The ability of a quick and easy conversion also keeps a fleet of vehicles running longer. 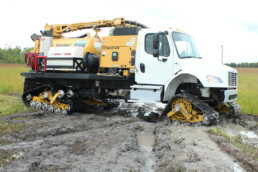 A hydrovac truck can be used with tires when the conditions allow and then quickly converted to tracks when it is required. Peterson states: “We can install the complete track system in an hour with two people, and it takes even less time to convert back to tires.” This improves an operator’s return on investment for their equipment. The cost to buy a dedicated tracked vehicle is not only a considerable investment, but it also carries with it an additional vehicle to maintain and service. Whereas with Mattracks, one vehicle becomes multifunctional. A truck with 400M1A1’s installed can now easily get into areas during the wet season and into environmentally sensitive areas (Figure 1). With almost 6400 in.2 of ground contact area, a 16 t loaded truck only exerts 5 psi (34.5 kPa) of ground pressure. For comparison, a full grown adult male exerts 8 psi (55.2 kPa) standing still and more than twice that while walking. The 400M1A1, while it raises the vehicle for some additional clearance (25.5 in. to the centre of the axle), still keeps a low enough stance so the vehicle can easily be transported without needing a lowboy trailer. 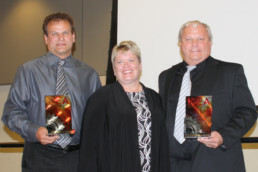 “This was an important requirement for us as lowboys can double freight costs,” says Peterson. Now, the truck can be trailered to a worksite, get in and out quickly, and then convert back to tyres when a job does not require the tracks. 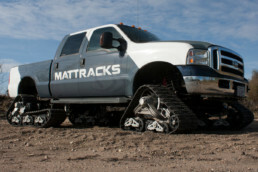 When compared to a dedicated track vehicle, Mattracks’ cost-efficient mobility solutions convert a wheeled vehicle into a tracked vehicle capable of travelling over soft terrain, such as mud, snow, sand, swamps and bogs, with minimal impact on the environment. 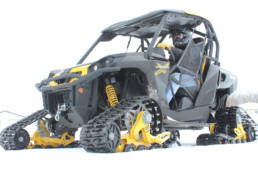 With the rubber track system, one simply bolts on an independent track unit in place of the vehicle’s tyre, giving an ‘all track drive’ vehicle with all the features and functionality of a road vehicle, but capable of meeting off-road mobility challenges. 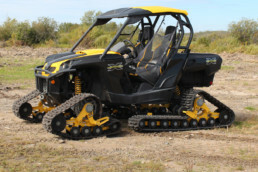 Plus, Mattracks is not limited to off-road use. 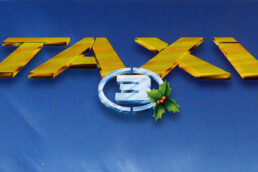 They are able to be driven on paved roads and do not damage the road surface. This makes it convenient for getting around to different worksites. Mattracks introduced the 400M series in 2016. Prior to that, the Mattracks automotive line was limited to Class 5 and lower trucks with some Class 6 coverage. Mattracks expanded its track offerings for automotive/truck applications with the release of its 400M1A1 model. This greatly expanded the Mattracks automotive line-up by doubling the load capacity of its 200M series, which was the largest truck system available prior to the 400M series release. The Mattracks 400M series track conversion system adds versatility to commercial and industrial specialty vehicles, such as drilling rigs, aerial devices, vacuum trucks and other service/ maintenance vehicles. The 400M series is ideal for use on commercial vehicles, Class 6 and 7 that require off-road mobility. 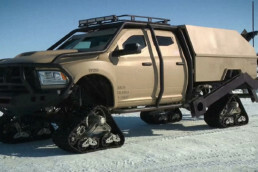 The system can support gross vehicle weights up to 40 000 lbs. 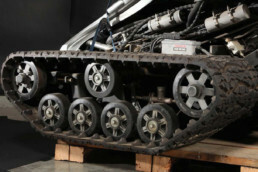 Designed for heavy loads and smooth rides, the 400M1A1 track conversion system features a 20 in. wide front track and 30 in. wide rear track. It is a hub mounted design in order to facilitate a fast conversion from tyres to tracks with little to no vehicle modification. This model also features Mattracks’ exclusive, patented rubber torsion anti-torque system, steering assist option, rocker suspension, as well as rear external idler for optimum sprocket wrap and fender clearance. 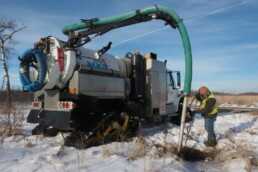 By using a tracked Class 7 hydrovac truck for pipeline work in wet or environmentally sensitive areas, a project can be completed quicker, for less cost and with a low environmental impact. It removes the need for mat roads while still keeping compaction low. 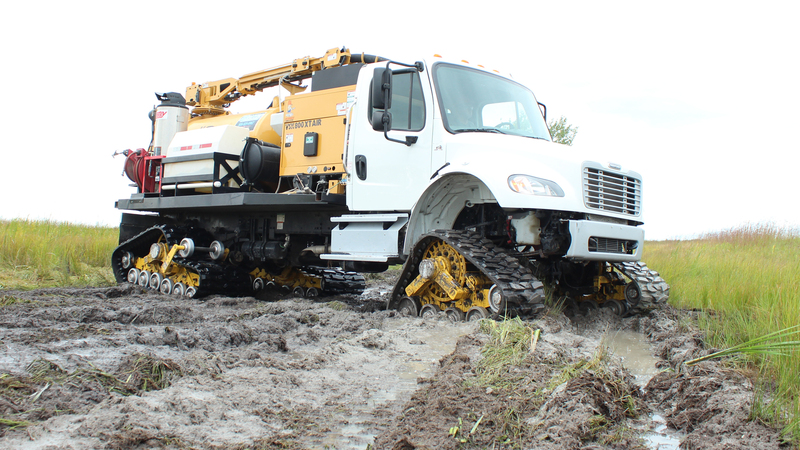 A project that could take as much as a month to complete with other equipment can be done in a couple days with a Mattracks-equipped hydrovac truck. 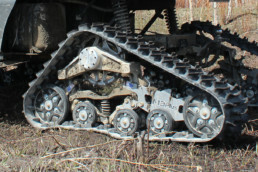 The incredibly low ground pressure of Mattracks vehicles provides mobility in mud, sand, snow and swamp, as well as on rocks and hard surfaces. Mattracks, Inc. provides organisations with the ability to move personnel and equipment where it wants and when it wants. 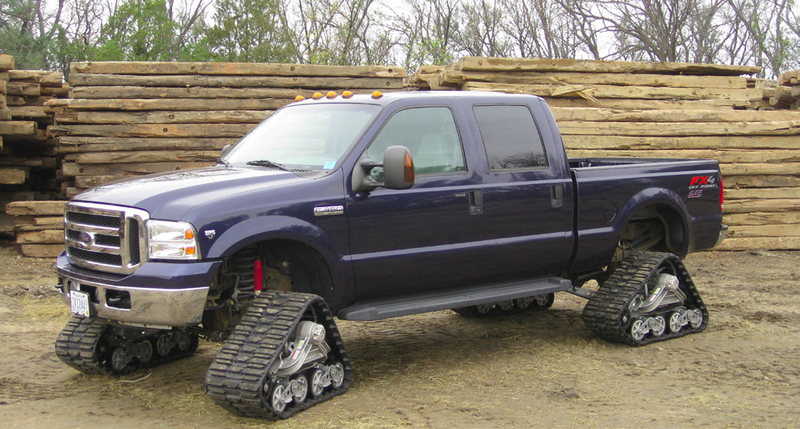 The road condition, or the lack of a road, will not be a problem with a Mattracks-equipped vehicle. It is a solution that will save a project time and money, and still protect the terrain in environmentally sensitive areas. Click the image below to view the original article from the 2017 World Pipeline Extreme Issue.